Established in 2011, Elite Rental Management’s service & reputation is second to none. 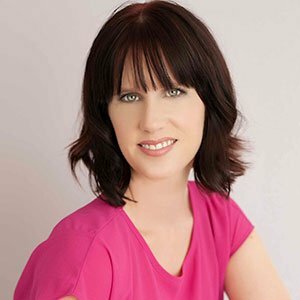 With a passion in property management along with years of experience in the real estate sector, Rachel understands what is required to ensure customer expectations are exceeded – every time. Finding the right tenant for the right property is crucial to Rachel and just one of the reasons why Elite Rental Management is so successful. Offering full management or casual let options along with free rental appraisals, covering Te Awamutu, Pirongia, Kihikihi and Otorohanga and operating 7 days a week. Knowledge and adherence to the Residential Tenancies Act ensures a high degree of professionalism and assurance to her clients. Elite Rental Management run a trust account that ensures full transparency and security. A Member of the Te Awamutu Chamber of Commerce. Elite Rental Management welcomes any enquiry and looks forward to having the opportunity to discuss how we can assist you. Living overseas, we required a Rental Manager to find a suitable tenant for our rental property in Te Awamutu. We chose Rachel from Elite Rental Management and within a week she found us a suitable tenant. We found Rachel to be very professional, friendly and competent and we are very happy with our tenant. We would recommend Rachel to any prospective landlord. After living in one horrible home, then finding a great one but having a horrible property manager, third time was a charm when we decided we would apply to rent with Rachel from Elite Rental Management. From start to finish she was helpful, quick to respond and had the interests not only of the landlord but us as tenants as well. Friendly and fair, I’d highly recommend Rachel to represent my property if I owned one!